The trailer for Final Fantasy VII: G-Bike which premiered at TGS 2014, offered some insight on just how much CyberConnect2 is adding to this iOS/Android port. What once was simply a small mini-game inside Final Fantasy VII is now a well developed racer game in its own right. From the trailer, you can see Cloud fighting monsters, pulling off limit breaks, and calling upon his friends to help him as he makes his way across the highway. The game's producer Ichirou Hazama also stated during the game's presentation, that they wish to add even more elements from Final Fantasy VII and new courses. 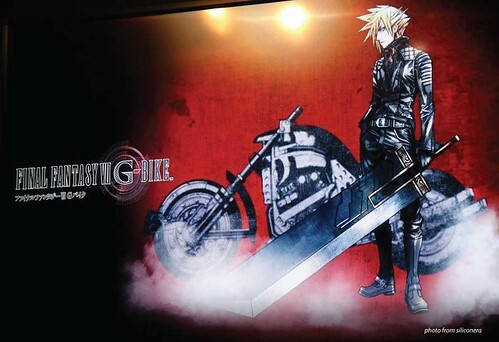 They also showed off Cloud's newly designed biker outfit by Tetsuya Nomura.